Uppsala, Sweden—May 22, 2012— For their future product development, Pepperl+Fuchs, a leading developer and manufacturer of electronic sensors and components for the global automation market, now fully relies on IAR Embedded Workbench. The globally acting company chose IAR Embedded Workbench for its outstanding flexibility and uses IAR Systems’ powerful C/C++ compiler and debugger tool suite for the worldwide development of all products in their two main divisions—factory automation and process automation. In the framework of a new “Enterprise License Agreement” with IAR Systems, Pepperl+Fuchs can now use different IAR Embedded Workbench products according to their selected MCU technology and even transfer the licenses to different development sites worldwide. IAR Embedded Workbench is a completely integrated development environment for developing, building, and debugging embedded applications with strong requirements on performance and reliability. With more than 100,000 licenses sold worldwide, it is the world’s most widely used C/C++ compiler and debugger tool chain for 8-, 16-, and 32-bit MCUs. Editor's Note: IAR Systems, IAR Embedded Workbench, C-SPY, visualSTATE, The Code to Success, IAR KickStart Kit, I-jet, IAR, and the logotype of IAR Systems are trademarks or registered trademarks owned by IAR Systems AB. All other products are trademarks of their respective owners. Pepperl+Fuchs GmbH, Mannheim, founded in 1945, is a leading developer and manufacturer of electronic sensors and components for the global automation market. 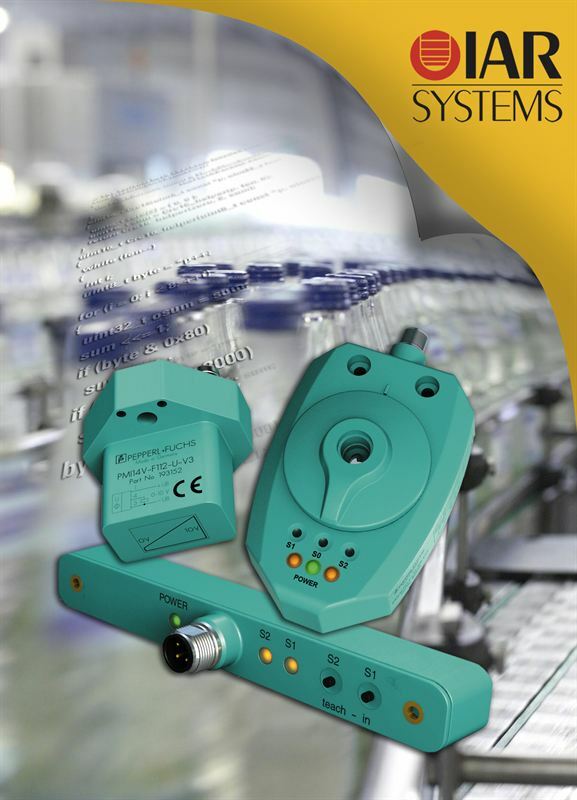 The company’s product portfolio ranges from industrial sensors, rotary encoders, identification systems, barcode and data matrix codes to interfaces, remote I/O systems and fieldbus infrastructure solutions. Pepperl+Fuchs‘ customers can be found in the mechanical and plant engineering industry, the automotive sector and the materials handling sector as well as the chemical and pharmaceutical industry, oil and gas industry, and the traditional and regenerative energy generation.